The Parish of Saint Peter ("St. Peter") is one of eleven parishes in the Caribbean island country of Barbados. It is named after the Christian Apostle and patron saint, Saint Peter. It is located in the north of Barbados, and is the only parish besides Saint Lucy that extends from the east coast to the west. The Barbados "Platinum Coast," which extends through Saint Peter from the parish of Saint James just to the south, has helped to make Saint Peter a tourist hot spot. The parish is surrounded with white sand beaches, including those along Mullins Bay. Its topography includes rolling hills and terraces, some of which are still covered by sugar cane, which was the islands chief cash crop during its colonial period. Within Saint Peter are also large tourist sites such as the Port St. Charles and Port Ferdinand marinas. Other lavish resorts include Schooner Bay, St. Peters Bay and The Palazzate. The area of Speightstown was the first major port and commercial centre of Barbados. The city is named after William Speight, a member of Barbados first Assembly during the colonial years, and the former owner of the land on which the city arose. It has a long and colorful history reaching back to the 17th century when it served as one of the main ports connecting the island with the “mother country,” England. Back then Speightstown was sometimes called “Little Bristol” because of these trading connections with Bristol in England. This little village was the port that Admiral Ayscue could not take when he was dispatched by Cromwell to quell the insurrection in Barbados in 1649. The Barbadians were loyal to Charles I, and would not accept Oliver Cromwell as their protector. For six months Ayscue was unable to land in Barbados, and concentrated attacks on Speightstown were repelled by the small forts along the shore. The tiny island was landed only with the help of a defector who led Ayscue and his men to land at Oistins where they met with representatives of the island and signed what has become known as the Charter of Barbados. Signed in 1652, the agreement gave Barbados rights and privileges unheard of on any other island. In particular it guaranteed that Barbados could not be taxed without the consent of a Barbados General Assembly. Many historic buildings dating from colonial times, including Arlington House, still remain standing in the town and can be seen mostly along Queen Street, Church Street and Orange Street. Speightstown saw a lot of activity during the reign of the sugar industry and the day of the slave trade. Many slaves would have passed through this town, even if they were to be shipped on further to other islands or America. Today Speightstown is busiest on weekends when locals and visitors come out to do their shopping and banking. Many stalls can be found along the streets hawking local and imported fruits and ground provisions. Although it had fallen into disrepair and neglect over the years, the area is now the focus of new initiatives for development. Speightstown Esplanade at Fort Denmark and the Fisheries Complex have been refurbished. Drainage in the area has been improved to prevent flooding. The jetty has been rebuilt and a modern ferry line may be established. Port St. Charles is open for those who wish to enter the island by yacht. Speightstown hosts The Gallery of Caribbean Art, which showcases local and Caribbean artists. Farley Hill is a ruin of a Georgian mansion which was built by Sir Graham Briggs. Work started in 1818 and rooms were constantly being added over the next fifty years. 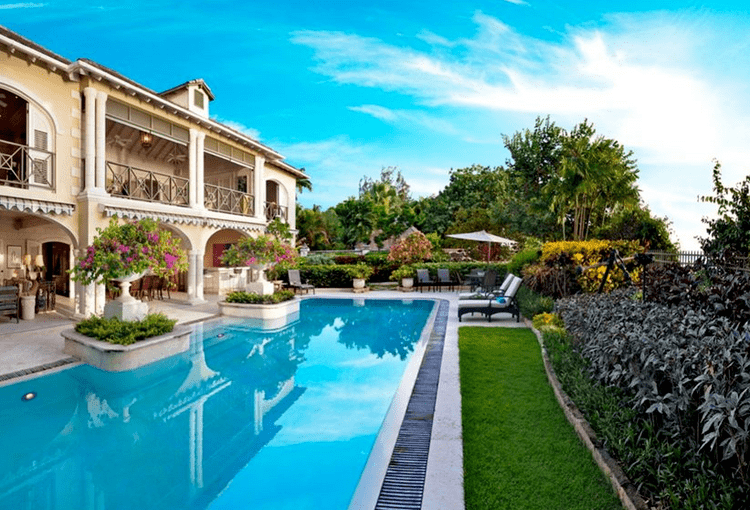 Farley Hill was eventually regarded as the most impressive mansion in Barbados and in 1957 was used as Belfontaine Mansion in the famous film Island in the Sun. After the mansion was destroyed by fire in 1965, the property was acquired by the Barbados Government. On February 15, 1966, HRM Queen Elizabeth II officially opened the grounds as the Farley Hill National Park. Situated high up on a hill overlooking Barbados rugged Atlantic coast, Farley Hill is a picnic area, wedding venue, and vista point, featuring views of the east coast of Barbados. The forest of mahogany trees is transformed into the stage for musical and theatrical events several times a year, including the Barbados Jazz Festival and Gospelfest, among others.